Mark is a friend and wildlife biologist who has told me numerous times the herbicide Roundup is completely safe. Another friend, John, is a chemist who says Roundup is so safe he would almost swallow a spoonful of it. Of course, he has never done so. And now, we learn it’s a good thing. In a civil lawsuit against Monsanto, the maker of Roundup, there was enough evidence presented to convince the jury that Roundup does indeed cause cancer. The jury was so convinced, it ordered Monsanto to pay out $289 million to one man. What’s more, the jury found the company knew its product is dangerous and has hidden the evidence. This story is one we hear all too often – and never see any justice. Chemical manufacturing companies like Monsanto are eager to sell their products. To do so, they have to make them seem as safe as possible. So they come up with story lines like my chemist friend gave me. I’ve heard several people say they would swallow a spoonful of Roundup. No one ever swallows the product, though. And yet, I keep hearing this same line of “proof” that it’s safe. I’ve heard it so often, I have to wonder if it’s a talking point started by Monsanto to alleviate fears of its product. It’s an easy one to roll off your tongue – and no one would ever expect you to actually swallow it. But the point is made. Well, turns out, Roundup isn’t so safe. Dewayne Johnson has three children and is a 46-year-old former groundskeeper. He’s a “former” groundskeeper because he’s terminally ill with cancer. In 2012, he took a position with the school district of Benicia, California, a suburb just north of San Francisco. The job required him to take care of the school grounds, which required him to spray Roundup to control weeds. There were many days where he had to spray the chemicals for several hours, giving him significant exposure. During the trial, he argued that the exposure he had to the chemicals caused non-Hodgkin lymphoma (NHL), a blood cell cancer. On the stand, he detailed his pain and suffering, as skin lesions took over his body. Johnson likely has just months to live, and his medical bills are piling up. His wife is working two jobs, with many 14-hour days, in an attempt to pay for the medical bills. All to no avail. The jury award of $289 million is to cover past and future economic losses and punitive damages. As sad as Johnson’s story is, it’s not the end of story for Monsanto. Just think of how many people use Roundup on a daily basis thinking it’s safe enough to drink. Monsanto’s chemicals are dangerous. And Johnson’s lawyer was allowed to prove it in this case. But the lawyer did much more damage to Monsanto than prove the dangers of the product – he proved Monsanto knew their product was dangerous and lied about it. In other words, an ethical district attorney needs to look into criminal charges here! This was an unusual case, as the judge presiding over it allowed the plaintiff to present scientific arguments. So Johnson’s lawyer was able to show how Monsanto had “fought science” for years. In fact, they had gone so far as to target any scientists who spoke up about possible health risks from Roundup. The judge also allowed the plaintiff to present internal emails from Monsanto showing the malice company executives and employees committed in trying to hide their product’s dangers. Monsanto fought hard against the evidence presented in the trial. The company’s lawyers maintained that Roundup is safe and not linked to cancer. They presented studies that countered the research and testimony submitted by Johnson’s team. The herbicide is registered in 130 countries and approved for use on more than 100 crops. But here’s where Monsanto ran into trouble. In 2015, the World Health Organization’s international agency for research on cancer (IARC) classified glyphosate as “probably carcinogenic to humans.” This triggered a wave of legal and legislative challenges and opened the door for Johnson’s lawsuit. I’ll be the first to admit the WHO isn’t above reproach on much of anything. They’re the pot calling the kettle black in this instance. But there’s enough evidence outside of the IARC verdict to destroy Monsanto’s lies. Much of this was presented at the trial. 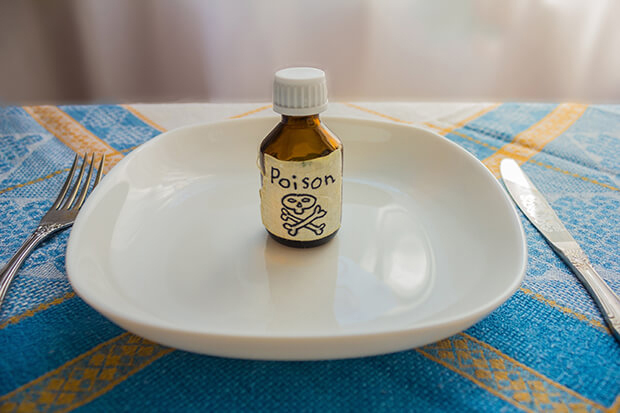 Is Roundup Dangerous to Children – Even in Small Doses? As with everything, the dose is key. Johnson sustained a large dose of Roundup on an almost daily basis. It’s hard to argue this didn’t cause his cancer. Are smaller doses safe? Studies suggest they aren’t. There’s new research coming out that shows how relatively low levels of weed killers (like Roundup), indoor bug sprays, and other pesticides can cause cancer and other serious medical problems in children, and possibly adults. It’s not just because children are smaller than adults. Their bodies and brains are still developing, which means their cells are dividing rapidly. This makes them especially vulnerable to chemical assault. So even small amounts of insecticides and pesticides that are meant to kill rodents or insects, even in tick and flea sprays used on pets, can cause problems. One study from September 2015 found indoor bug sprays can cause leukemia or lymphoma, and possibly brain cancer, in children. This was an important study because it was a meta-analysis. That means the researchers combined data from 16 smaller studies to reach their conclusions. Another study, this one from August 2015, found that Roundup in drinking water can cause harmful effects in the liver and kidneys of rats. We’ve been told that once Roundup goes into the earth, it becomes neutralized. This study casts serious doubt on this assertion. Perhaps the most troubling study came in May 2016. In this study, researchers at the University of California San Francisco announced that they found glyphosate (the major ingredient in Roundup), in the urine of 93% of the American public. What’s more, they said the highest levels were found in children. Unless all of us are swallowing Roundup, how else do you explain this? It’s obvious glyphosate is getting into our food and water supply. We do have to ask this question, though: If 93% of the American public has glyphosate in our urine, why don’t all of us have cancer? It’s a legitimate question with a legitimate answer. Most people are not getting the dose that Mr. Johnson received. Most of us are somewhat healthy and able to withstand smaller doses. But we also have to consider that these chemicals in our bodies are causing a host of health problems. They may not kill us. 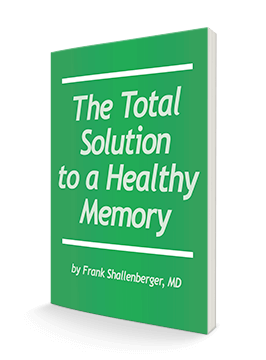 But we could be suffering from memory loss, fatigue, thyroid issues, muscle weakness, digestive issues, and any number of other problems because of these chemicals. Many people suggest we don’t use these products around our homes. That’s easier said than done when the bugs and weeds are invading your home. Plus, if these chemicals are in our food and water supply, not using them really isn’t going to help much. We would all have to stop – and that’s not going to happen anytime soon. So you have to take steps to protect yourself today. The best way to do that is to detoxify your body regularly. Many people go through a spring detoxification. This is a good idea. But to get these chemicals out of your body, you need daily protection from a detox product that can remove pesticides and herbicides from your blood and tissues. Exercise and/or sitting in a sauna are also important, as sweating is a great way to release toxins from your body. Eating organic fruits and vegetables is vital as well. Unless it says organic, you need to assume that it has Roundup on it and in it. Remember, many genetically modified products use Roundup as a part of its new gene structure. Whatever you do, don’t believe the hype that expensive chemicals that kill plants and animals are completely safe. They’re effective at what they do because they’re harmful products. It’s common sense, but it’s not commonly thought through. Yes, there are natural products that will work, particularly as an herbicide. Vinegar is one. Combine one gallon of vinegar with two cups of salt and two tablespoons of dish soap (stir until the salt dissolves) and it will work even faster. The combination probably won’t work as fast as Roundup – and may need more applications. But it also won’t cause cancer.